It’s time for our Annual Apparel Sale. 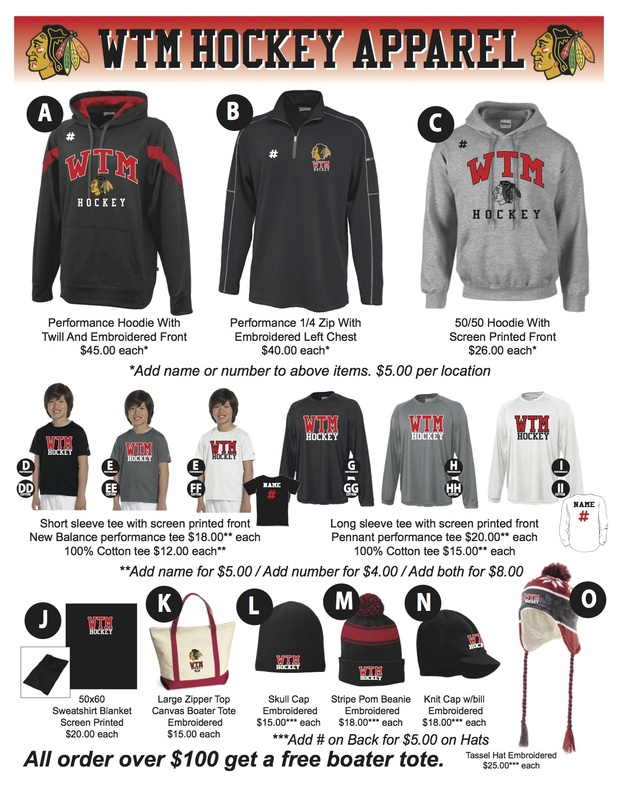 Get all your WTM labeled apparel for this hockey season. Let’s show our WTM Pride and out Wear our Competition!!! Come see what we have to offer…..